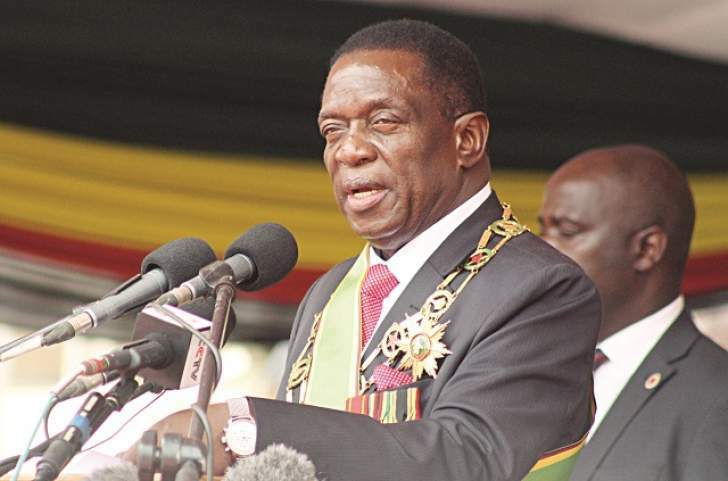 THE panicky government of President Emmerson Mnangagwa has reportedly put its security arms on high alert as part of measures to clamp down on leaders of opposition parties, non-governmental organisations and labour unions ahead of next week's mass protests over the deteriorating economic situation in the country, NewsDay has learnt. Well-placed government sources have revealed that the country's security apparatus has been put on high alert to deal with the impending strikes that could pose a serious threat to Mnangagwa's rule. The security fears were amplified by threats of crippling demonstrations by teachers, the Zimbabwe Congress of Trade Unions (ZCTU) as well as the opposition MDC, beginning next week. According to sources, Mnangagwa fears the protests, mainly involving underpaid civil servants, could be hijacked by his political rivals to effect regime change. "The security agents are on high alert. There is fear that the proposed protests by teachers, ZCTU and the opposition may force things off hand, especially coming at a time when schools open and parents cannot afford to pay the hiked fees and uniforms," a source told NewsDay. "There was a meeting this week by the Joint Operations Command, and one of the major issues was to call on President Mnangagwa to address the deteriorating economic situation in the country to avoid a security crisis. The demonstrations will be met with force from government." Mnangagwa is still battling to contain a month-long strike by public hospital doctors, who want to be paid in United States dollar-denominated salaries, among other grievances. He was forced to abort his annual leave early this week to help his deputy, Constantino Chiwenga, deal with the matter. Presidential spokesperson George Charamba on Wednesday warned opposition parties and non-governmental organisations to stay out of the impasse between government and the striking doctors. Mnangagwa last year repeatedly warned the opposition MDC, whose protests have attracted huge crowds, of abusing the democratic space provided by his government, adding he would soon run out of patience. Home Affairs minister Cain Mathema yesterday, however, professed ignorance on the planned clampdown on protesters. "I am hearing this issue from you. What do you want government to do? To have them in prison? I don't know what you are talking about,"Mathema said. But MDC spokesperson Jacob Mafume said his party was not deterred by State threats of a clampdown on opposition leaders. "It is clear that their own incompetence, inefficiency and cluelessness have become a danger to themselves. They are running away from their shadow," Mafume said. "The people of Zimbabwe have a right to protest and express themselves using constitutional means. We are not deterred. We know they have demons of war and like Legion, they will find pigs to possess and fall off the cliff of dictatorship. We remain committed to representing the interests of the people within the confines of the Constitution." ZCTU secretary-general Japhet Moyo also vowed to go ahead with the planned protests. "We want to make it clear that we are not afraid of them. We are ready for them. We know they have been doing this for years so that they could retain power," he said. "We are aware that hospitals are waiting for us after being beaten by the police. We are aware that the prisons are waiting for us because this rogue regime, without due care for its citizens, is going to arrest us for exercising our rights"
Added Moyo: "Let it be known that they can kill us, fight us and do all sorts of things, but the economy will not change because of that. Government should direct its energy towards the economy and not unarmed civilians." Amalgamated Rural Teachers' Union of Zimbabwe president Obert Masaraure said no amount of threats would deter them. "We are going ahead; no one is going to stop us. Even if we are going to stay at home, there are worse horrors at home than at [Finance minister] Mthuli Ncube's office. We will be looking at our children who can't go to school because we don't have school fees, and that there is no food and money," Masaraure said. "Even those who want to go to work will be unable to (do so) because they don't have money."